There are few things that sound as good to a backpacker on a budget than a free day out. I believe that most of the museums in Melbourne are free to enter or at least relatively cheap, some of the other major attractions carry a cost; the zoo, aquarium and Eureka Tower as examples. Conveniently placed adverts in Melbourne’s free newspaper led my pal Rob and I to spend a gloriously sunny Sunday afternoon down at the local sporting cathedral; the MCG, or as it’s known by those stereotypically lazy Australians, the ‘G. 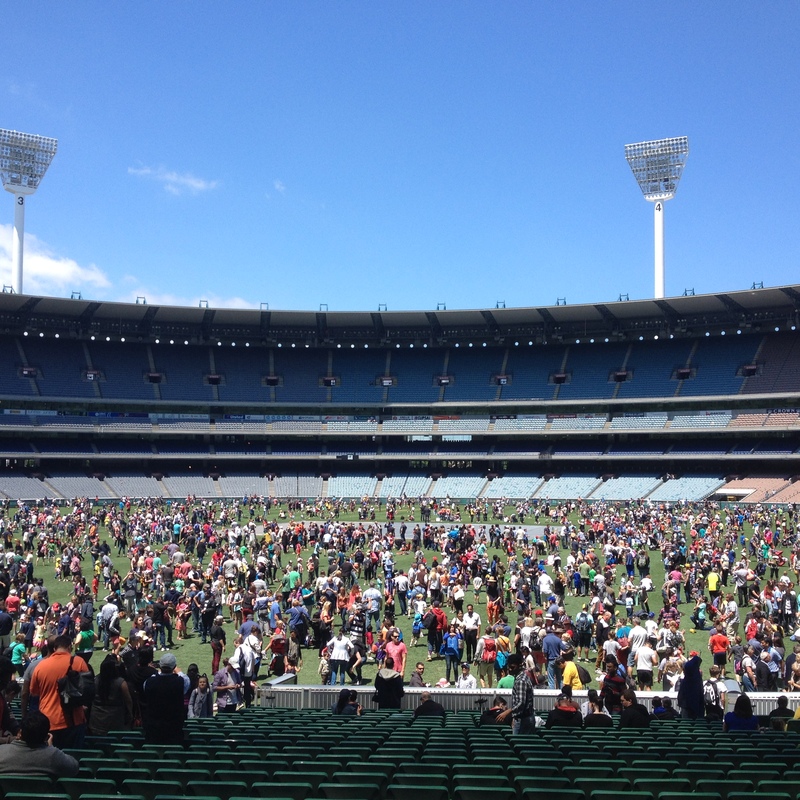 You know, I can see Melbourne Cricket Ground being a bit long, but MCG being too much? Come on! Supposedly the 10th largest stadium in the world, it holds 100,000 and is regarded as the spiritual home of Australian sport. I thought it was pretty decent of them to open it up for free on an afternoon and let us tourists have a walk about. Having initially joined an hour long queue for the museum, Rob and I quickly decided to skip it and get straight into the stadium. Sure, it’s big but once on the pitch with what felt like hundreds of families and friends kicking their replica AFL balls to each other or where ever they liked it suddenly felt very, very small. At times it felt like there was a guaranteed chance of taking a ball to the face. Fortunately, we managed to escape unscathed. We were both fairly impressed that it wasn’t just a day to walk out on to the pitch or take a seat in the stands; almost all of the stadium was open to visit. 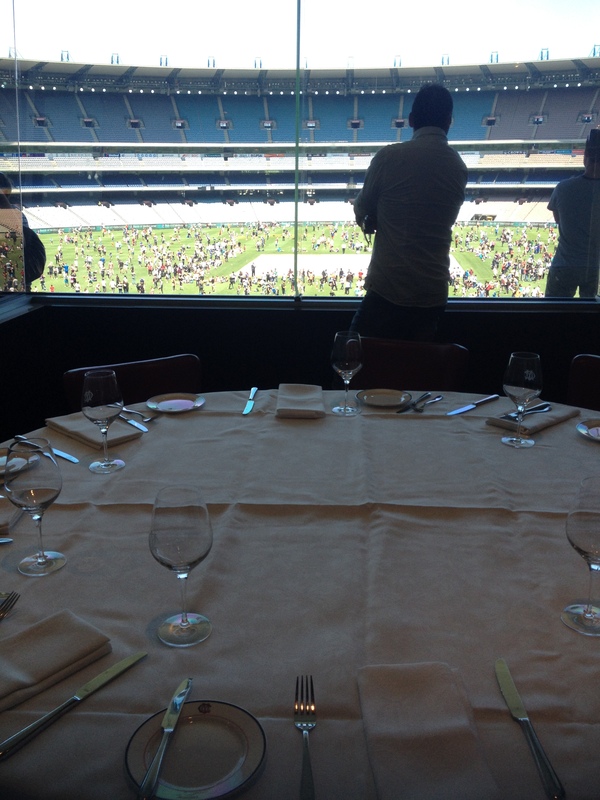 We made our way through the executive boxes, the media rooms and commentary booths as well as some of the member’s lounges where it would appear that you could enjoy an executive lunch with grand views over the field below. I’m not big on cricket, I’m aware that the Ashes are happening right now and of the understanding that Stuart Broad is getting the better of the Australian team and general public by being “quite good”. 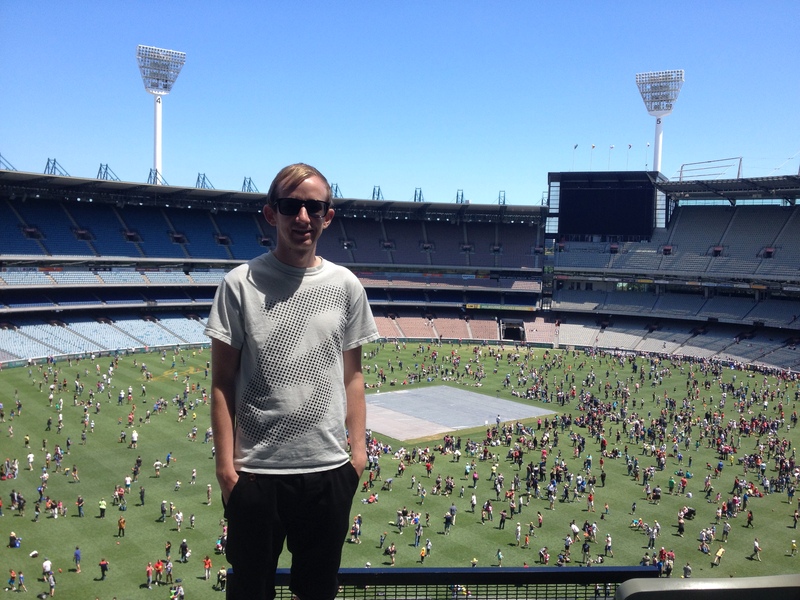 I would just about manage to claim that I was there as an AFL fan if anyone were to ask. 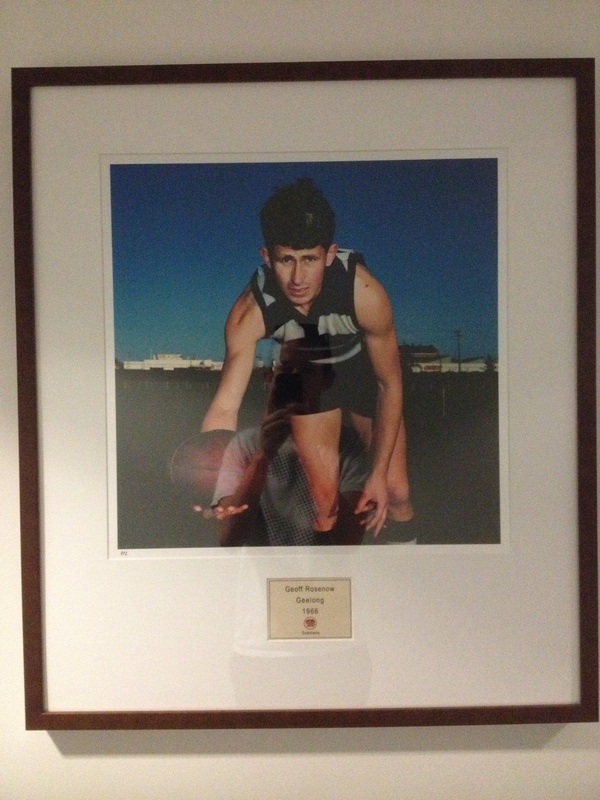 A personal highlight of the tour were portraits of players from the ’66 season along the walls near to the media boxes. There were some truly fantastic shots. It was all in all a pretty good way to spend an afternoon. After we’d finished up in the stadium we thought about trying again for the National Sports Museum but as we joined the queue a voice through the loudspeaker gave us bad news. Last entry would be at half past three and that the queue was approximately an hour and a half long and it was already two. Nightmare. So, we missed out on the museum but there’ll be plenty of other opportunities to go back and I now have even higher hopes of witnessing an AFL game with a full stadium.